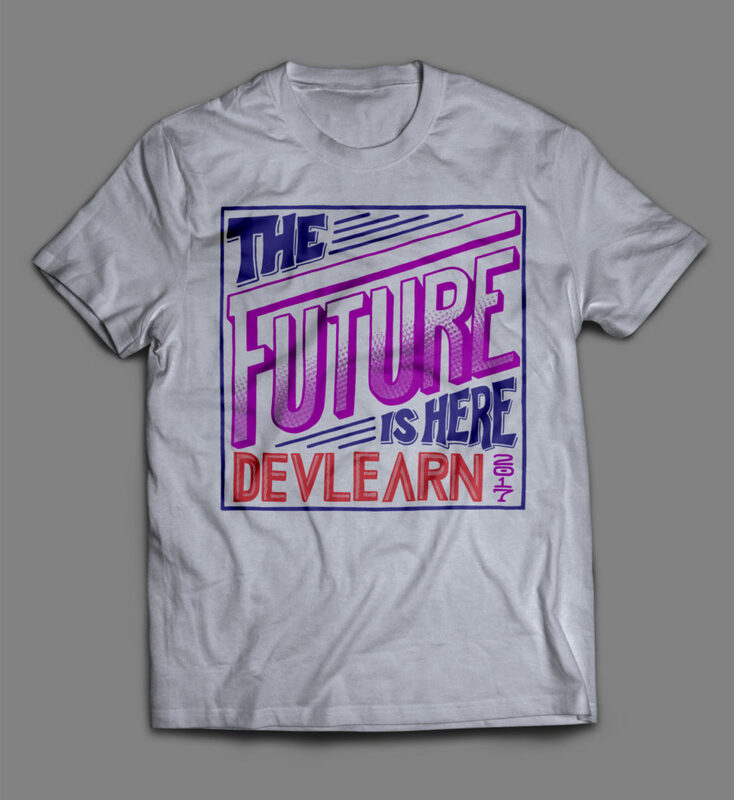 DevLearn is the industry’s leading annual event and every year there’s a new t-shirt to sport. All those previous years no one knew where the design came from. This year, the fine folk at the eLearning Guild decided to toss the design out to the community. The window to submit ideas was open for a few weeks and then four would be selected for final vote. The final vote then tossed back out to the community for peer selection for the winning design. As someone who likes to fiddle around with these sorts of things, I couldn’t pass up the opportunity to dip my toe into the challenge. I submitted three designs and my third entry was selected as one of the four finalists! You know you want to wear this one-time only custom excellent design! I’d be humbly appreciative if you’re reading this to go vote.